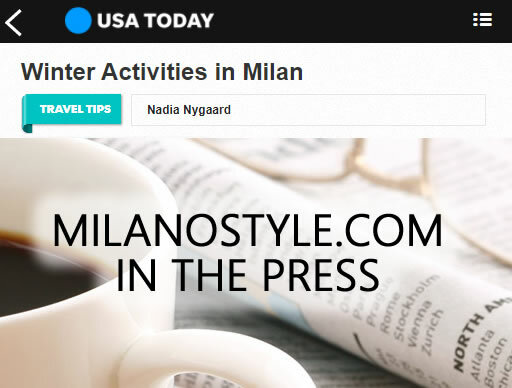 The American newspaper USA Today has used Milanostyle.com’s article about Ski Resorts Near Milan as a reference in their article Winter Activities in Milan by Nadia Nygaard. In the article, Nygaard writes about the allure of Milan for both the fashion tourist as well as the sports enthusiast during the winter months. She offers tips on shopping, the arts, skiing, festivals and of course, men’s fashion week in January and women’s fashion week in February. Many thanks to USA Today and Ms. Nygaard for entrusting our publication as a resource. We are at your disposal for any further information about Milan and travel in Italy.